Baymont Inn & Suites, Mandan, ND. 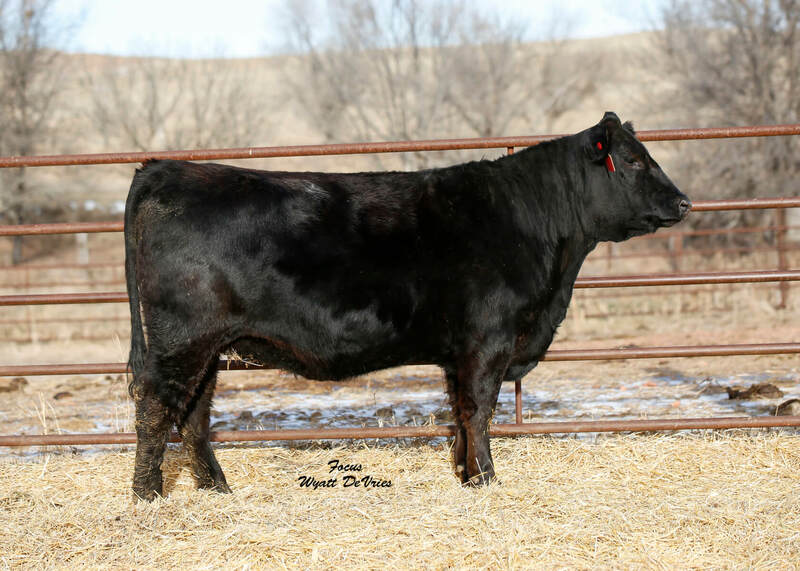 We will be selling 5 bred heifers from the top of our herd at the ND Golden Rule sale on Jan. 27, 2019 in Mandan, ND. Outcross breeding, awesome phentotype and disposition, they’re front pasture material. Contact Klint with any questions! Another good daughter of Yikes that is well balanced all around. We showed her dam as an open heifer, and she’s gone on to make a darn good cow. This year’s Jackson bull calf was near the top of the list for red pen bulls. That’s the kind of consistency we like to see in our females! Homo polled, she sells bred to DVE Davidson Jackson 26A for a 4/17 calf. Homo Polled. Miss Charisma E15 is one of those females we really shouldn’t be selling. 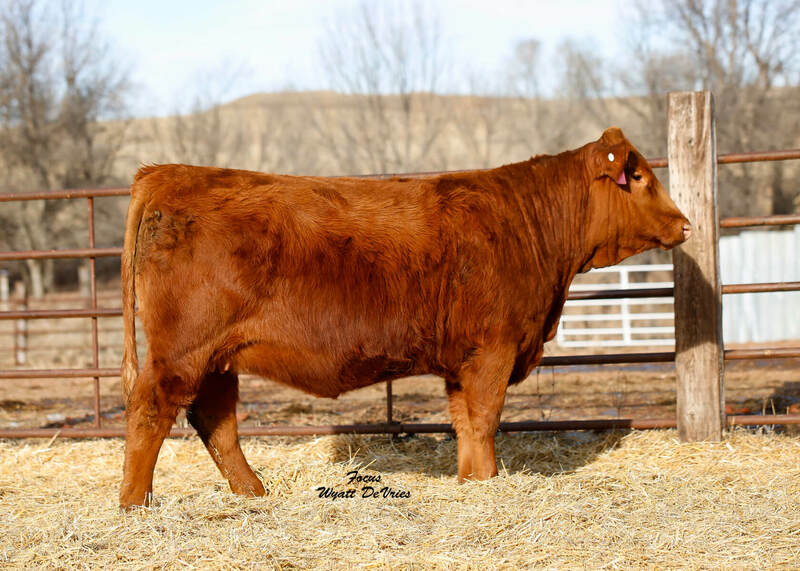 We purchased her mother as an open heifer out of the Golden Rule sale in 2014. Her first calf was reserve champion Balancer female at Agribition as an open heifer. 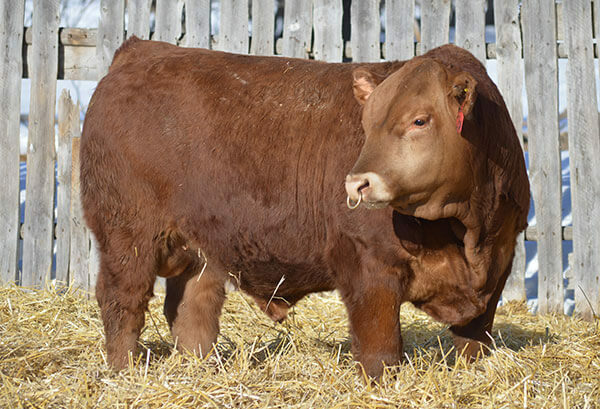 This years calf is a member of our Denver pen of bulls, and take a look at E15 – she’s no slouch either! Deep made, straight in her lines, and the broody look to really be a bull making mama! Homo black, she sells bred to DVE Davidson Jackson 26A for a 4/15 calf. Homo Black! Miss Scarlette comes from one of the most successful cow families on the ranch. Her dams half sister was selected as a donor female to help establish the Gelbvieh breed in the United Kingdom 2 years ago. This is only the 2nd daughter from this cow family to leave the farm, and she’s a combination of the awesome power of Scarlette, with the predictability of Carolina Leverage. 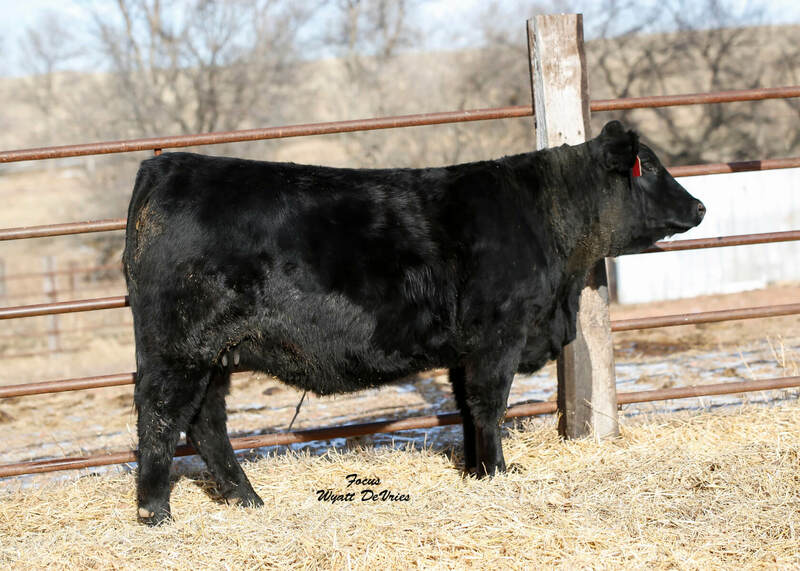 Homo Polled, she sells bred to DCHD GBG Dozer 039D for a 3/28/19 bull calf. Homo Polled. A half sister to the 2018 Bull Futurity Champion – these Dominance daughters are in limited supply and don’t often leave the ranch! As a group they are the prettiest uddered, most productive young calvers we have. We lost Dominance last summer, so this may be one of your last chances to obtain his offspring. Her pedigree gives you plenty of opportunity to breed her nearly any direction! Her dam carries a 104 WW, 105 YW, and 144 IMF ratios. 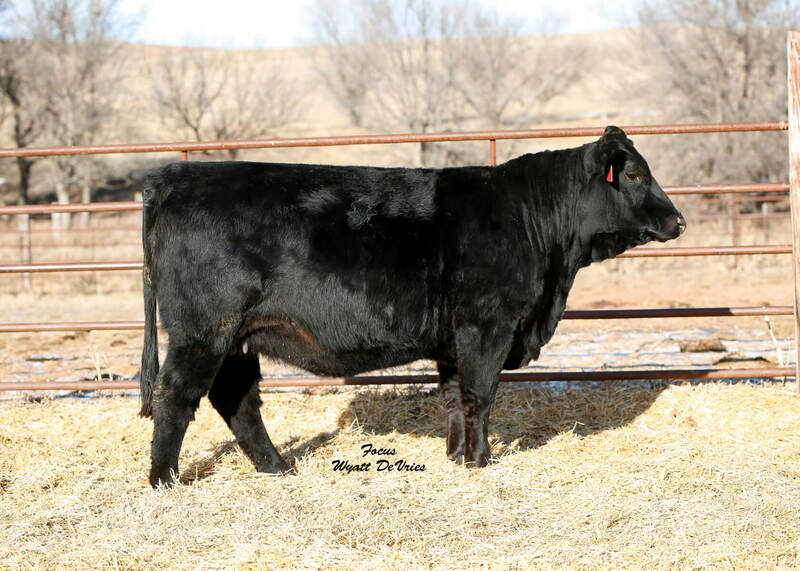 She sells bred to DCHD GBG Dozer 039D for a 4/20 calf. Homo Polled. Epiphany E730 comes from one of our most proven young cow families. Her mother was our pick of the 2012 female crop at Davidsons. Her breeding to Yikes has clicked so well, we have three full sisters retained in the herd. These Yikes daughter’s are proving themselves to be super productive with good udders. Homo polled, she sells bred to DVE Davidson Jackson 26A for a 3/7 bull calf. Homo Polled.